Blackhawk provided financial support to the St. Louis Chapter of the NRHS in their effort to cosmetically restore Wabash F-4 class 2-6-0 #573, located at the Museum of Transportation in St. Louis (Kirkwood), Missouri. 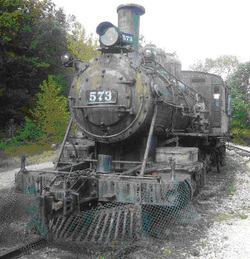 Wabash #573 was built by Rhode Island in 1899 and became the railroad's last working steam locomotive, assigned to the line to Keokuk, Iowa due to a light bridge over the Illinois River at Meredosia, Illinois. #573 was retired in 1955 and donated to the museum. Blackhawk provided financial support to the Fox River Trolley Museum for repairs and repainting to authentic AE&FRE colors of one of the last remaining cars that ran on this line until the Fox Valley Line's almost total abandonment in 1935. 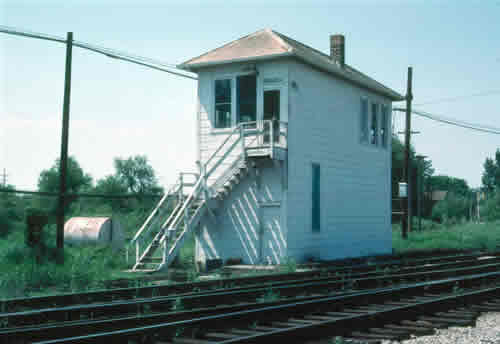 Blackhawk provided financial support to the Hoosier Valley Railroad Museum in their effort to save Grasselli Tower, one of the last working interlocking towers in Northwest Indiana. The tower was moved from East Chicago to North Judson in April of 2009 and the museum is working on restoring it as a working interlocking tower. Blackhawk was the primary contributor to the Will County Historical Society's exhibit “Trains, Trains, Trains” which ran from November 6 to 24, 2007 at their museum in downtown Lockport, Illinois. This popular exhibit featured displays of model trains, operating layouts, historic railroad photos, and timetables provided by Blackhawk members, as well as a collection of dining car china and important railroad items from the Society's archives. Blackhawk volunteers are currently helping the WCHS catalog its vast archives of railroad papers and photographs, including many unique and priceless items from the 19th century. 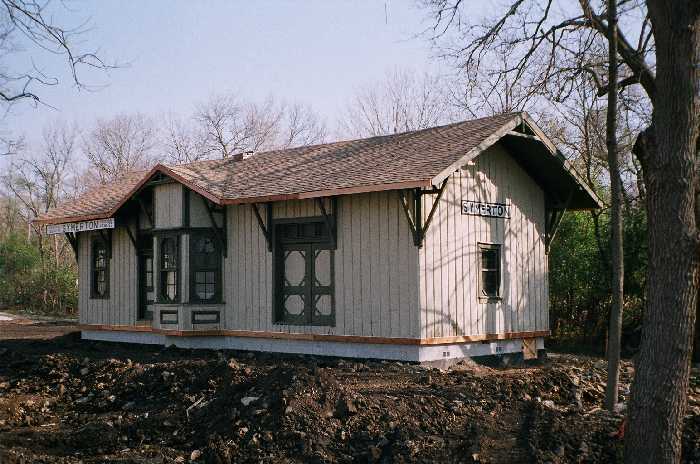 Blackhawk is also involved in the preservation of the Symerton Depot as part of the WCHS's Heritage Village that has been moved to 2nd Street in Lockport, Illinois. 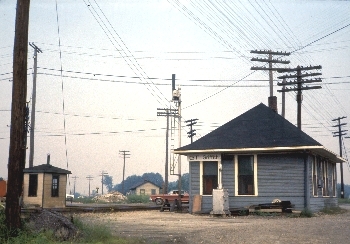 Blackhawk was successful in securing an NRHS Railway Heritage Grant for the Griffith (Indiana) Historical Society to help move the former EJ&E interlocking tower to the museum site, saving it from demolition. 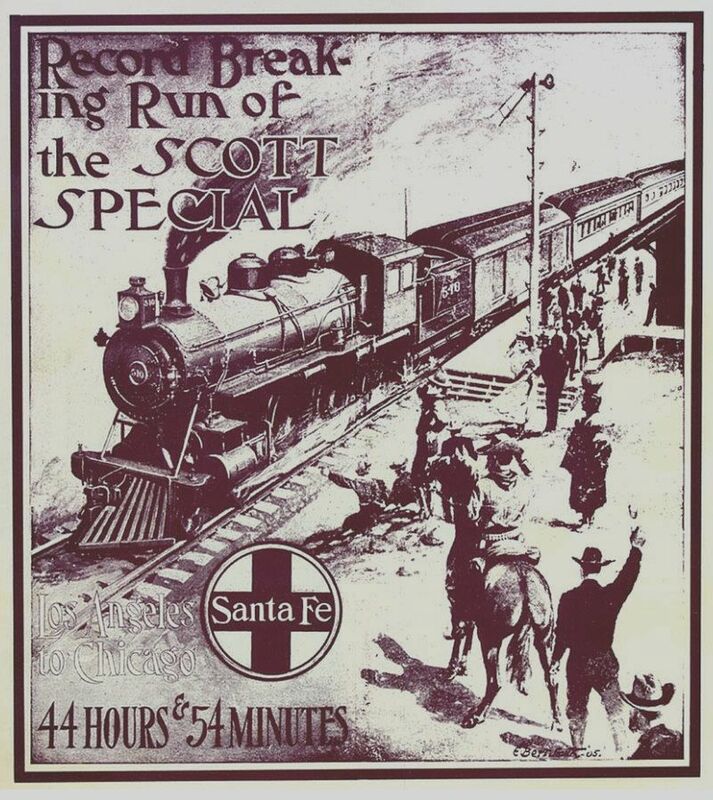 On Tuesday, July 11, 1905, a three-car passenger train chartered by noted charlatan and showman Walter “Death Valley” Scott passed through Joliet, Illinois at 11:02 a.m. en route to Chicago. Crowds lined the tracks to see the train charge through town. The train finally came to a stop in Chicago, having made the run of 2,265 miles from Los Angeles in 44 hours and 54 minutes! 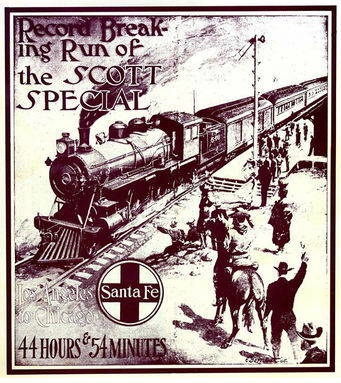 To commemorate the 100th anniversary of “The Scott Special,” Blackhawk produced an exhibit displayed during the July and August of 2005 at the Joliet Area Historical Museum incorporating historical accounts, promotional items and a model of “The Scott Special” as it approached Joliet at Santa Fe's Lorenzo station. Books and maps rounded out the exhibit and railroad-related activities for both adults and children were held in July and August to accompany this exhibit. 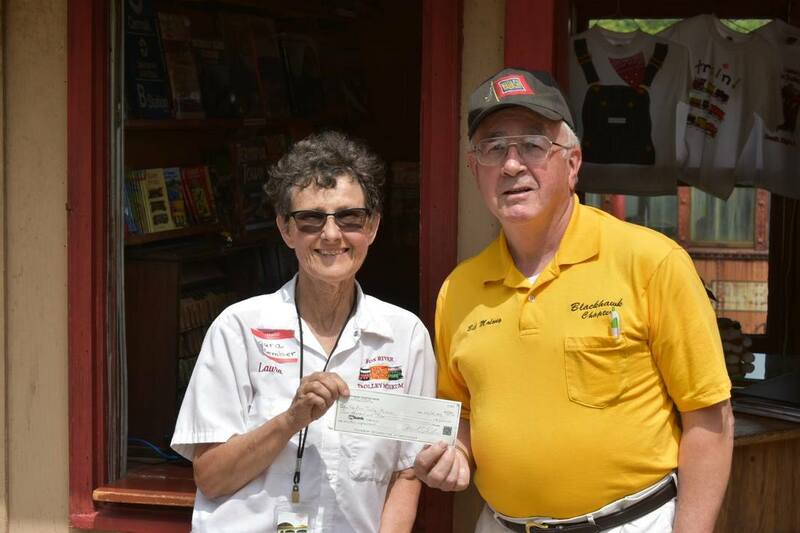 In addition to the above activities, many individual Blackhawk members are involved in volunteering at railroad museums, supporting railroad advocacy groups, promotion of the railfan hobby, model railroading and educating the public of the railroads' historical significance and role in today's world.